Andrew utilises techniques learned from Dr Stephen Aung (University of Alberta) called Medical Acupuncture. This is an approach that provides effective results from using a combination of Traditional Chinese and Western Medicine, the best of both worlds. Dry needling is an invasive procedure whereby acupuncture needles are inserted into the skin and muscle directly at a myofascial triggerpoint. A myofascial triggerpoint (sometimes known as a knot) consists of a group of muscle fibres under tension (knotted) which are related to producing and maintaining of the pain cycle. The approach is based on Western anatomical and neurophysiological principles, which is somewhat different to Traditional Chinese Acupuncture principles. Muscle dry needling with an electrical current attached is often referred to as Intramuscular Stimulation. Dry needling can be used for a variety of musculoskeletal problems, whereby the muscles are thought to be the primary contributing factor to the symptoms. Inserting a needle into trigger points can cause favourable biochemical changes which assist in reducing pain. 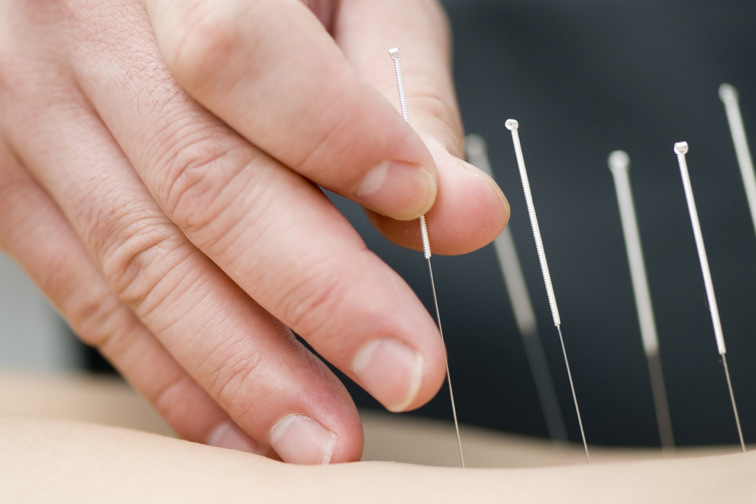 Dry needling is a relatively new method of treating myofascial pain and many people are becoming aware of this highly effective modality for relieving symptoms.